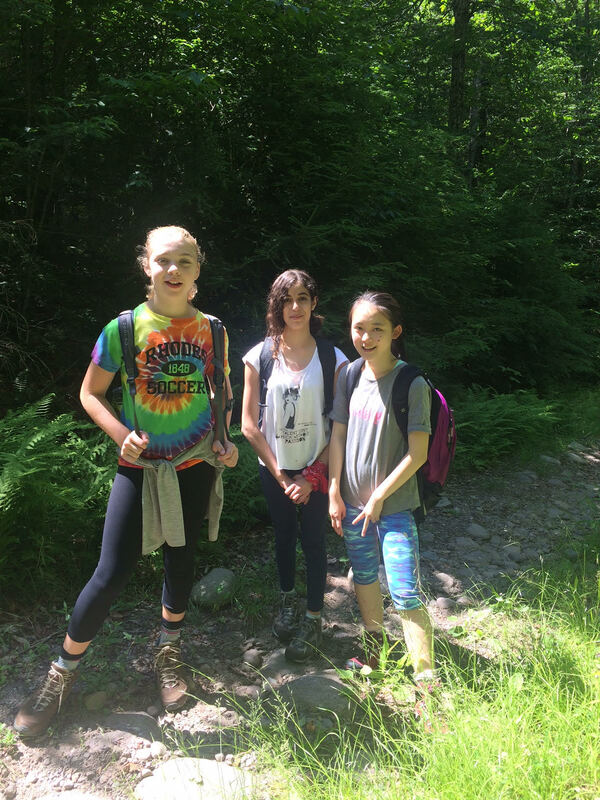 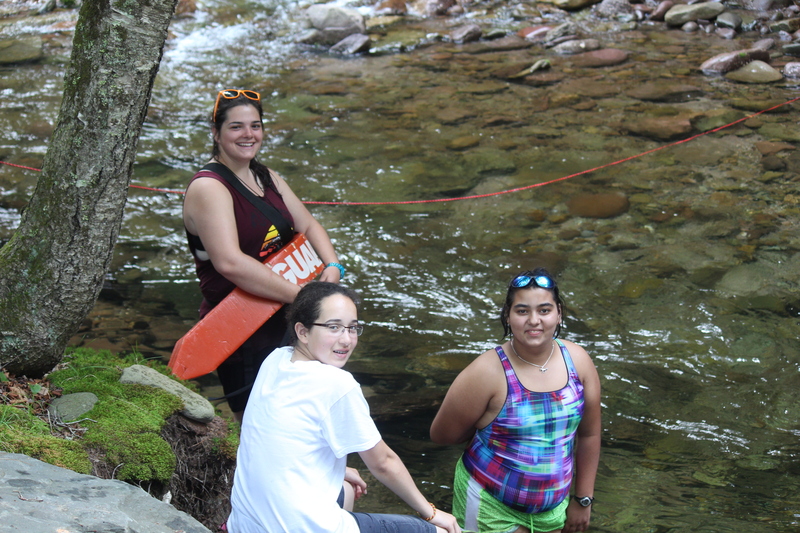 Frost Valley YMCA is home to four special Summer Horse Camps: Mustang Village (for girls in grades 2-5, ages 7-10) or Durango Village (for boys in grades 4-8, ages 9-13) at our Main Camp and East Valley Ranch, (for girls in grades 5+, ages 10+) just twelve miles away in a serene and secluded valley unto itself, and new this year: Horse Trails, (for boys & girls in grades 7+, ages 13+). 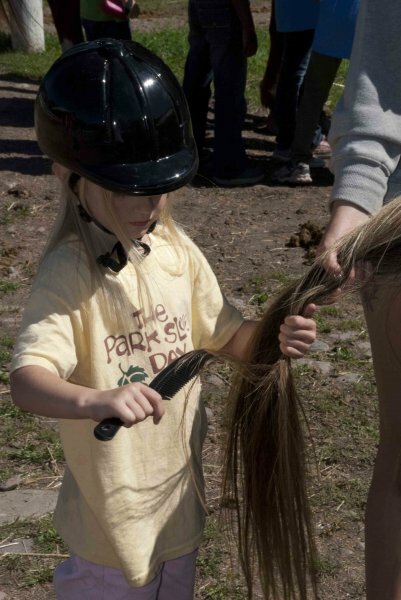 All of our programs are dedicated to providing the opportunity for developing equestrians to become more confident in their abilities and comfortable within a community of riders as, together, they develop lasting friendships while learning the fundamentals of riding and horse care. 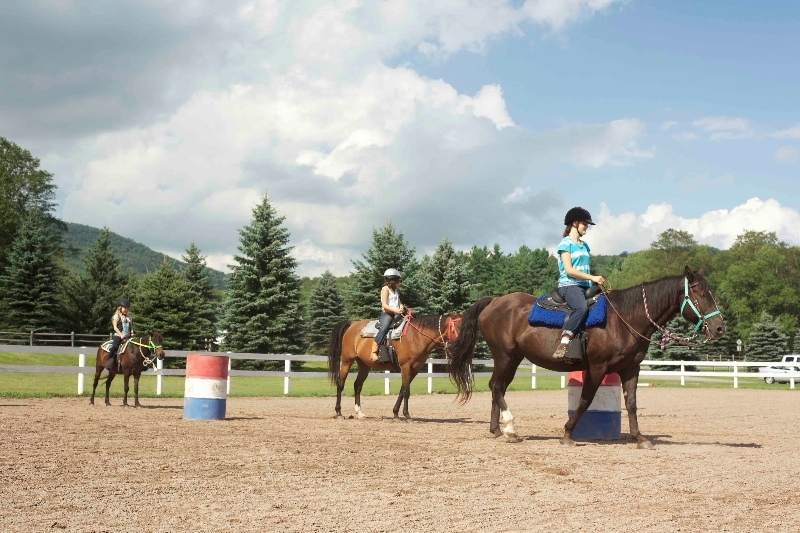 From the beginning rider to the advanced, campers grow leaps and bounds during their sessions, gaining confidence, independence, and leadership skills. 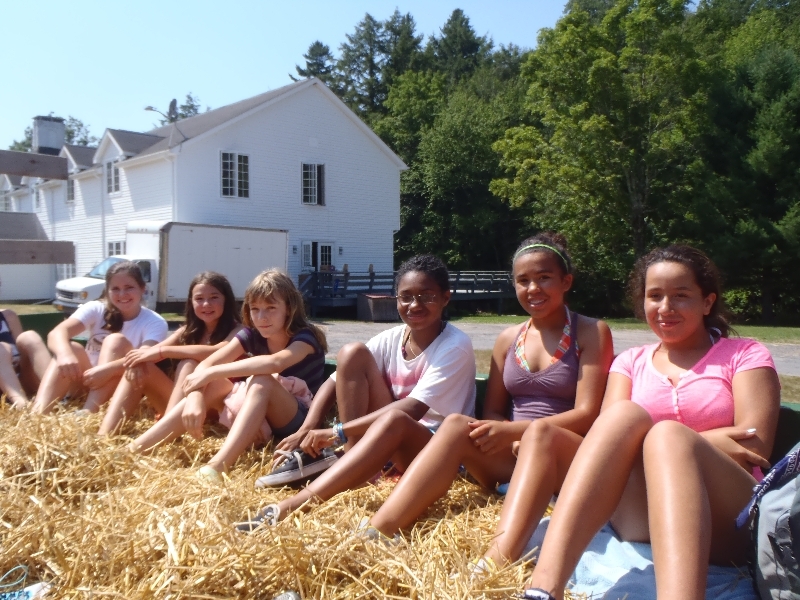 The Equestrian Staff is comprised of experienced horse lovers from all over the world eager to share their knowledge with campers. 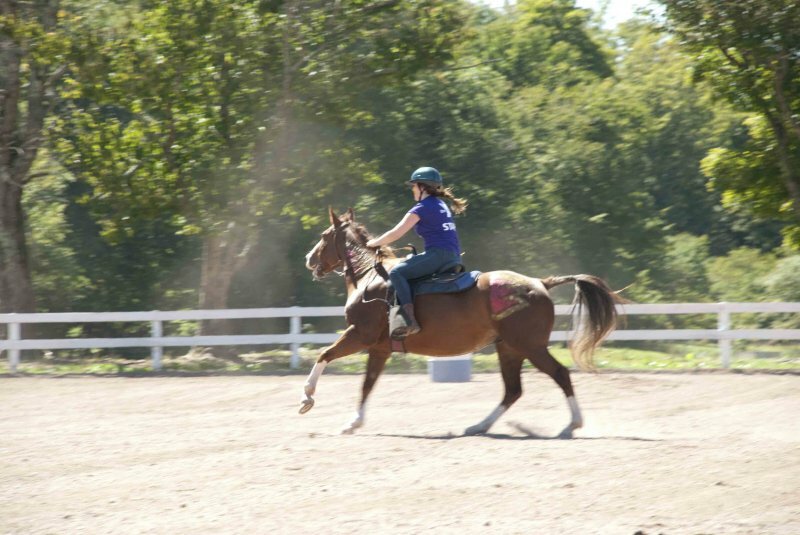 The facilities have over eighty exceptional horses, each of the separate facilities have a large barn, multiple riding arenas, and acres of open fields leading to miles of trails. 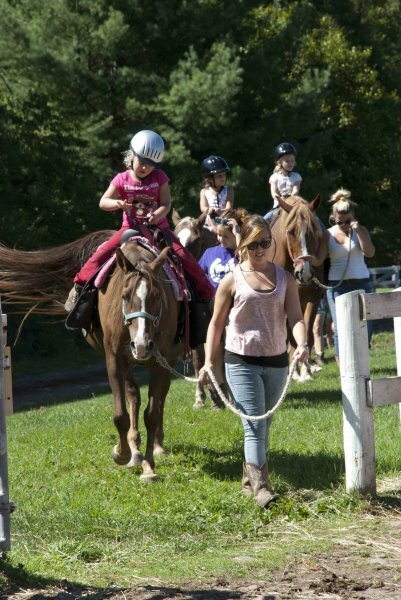 This program is accredited by the Certified Horsemanship Association (CHA) and upholds the highest safety standards.